Zippo Sons Of Anarchy Fear The Reaper Windproof Lighter | BUDK.com - Knives & Swords At The Lowest Prices! 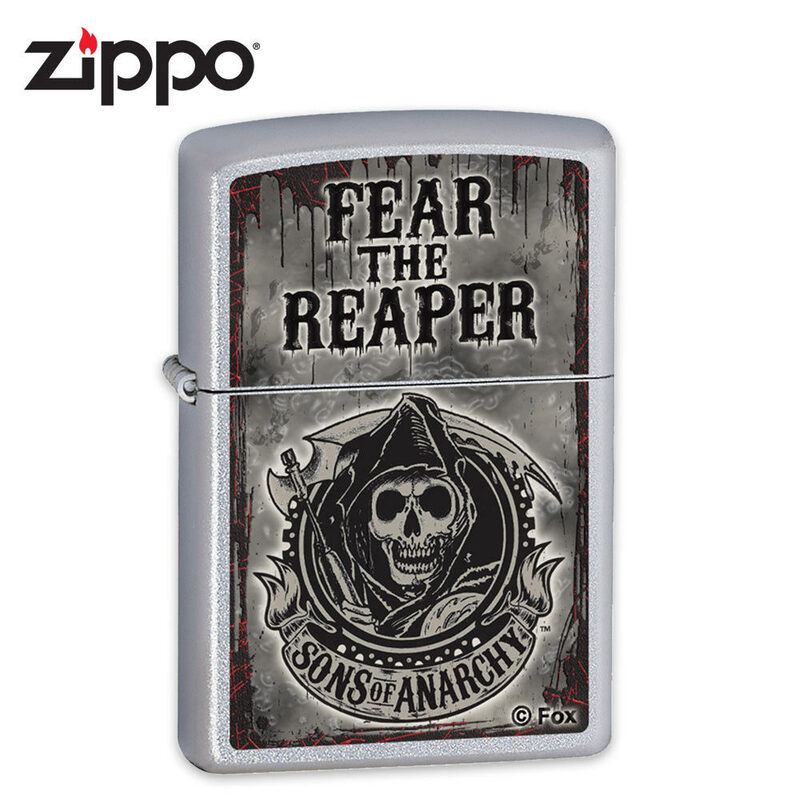 Brand new from Zippo is this officially licensed Sons of Anarchy "Fear the Reaper" grim reaper lighter. The Satin Chrome case features grim reaper Sons of Anarchy artwork. Most importantly, it provides Zippo's legendary windproof performance, guaranteed! Made in the U.S.A.